HP and Amazon Are Shaping Your Computing Future. Did everyone get their $99 HP Touchpads before they sold out? That’s OK, neither did most people. Apparently, HP’s fire-sale price of $99 for a 16GB tablet (or $149 for the 32GB version) is the price point at which everyone notices tablets — even if it’s a discontinued product. In the last two weeks, over 500,000 Touchpads were sold, with another 200,000 on the way. People that previously never gave a thought to using a tablet are now suddenly very interested. On the other side of the coin, Amazon recently announced they were going to start selling a new tablet (probably associated with its popular Kindle). The pricing is supposed to be $249 or less, making it one of the least expensive offerings on the market, and it’s already generating a lot of buzz. In fact, the Amazon tablet is already being hailed as the “iPad Killer”, even before it’s being released. Why all this hype over tablets when they’ve been available for years? One simple fact: they’ve been way too expensive, and hardware manufacturers are just now catching on. The first viable tablets were equipped with Windows XP and cost nearly $2000. These tablets were clumsy, heavy, and difficult to use (Windows XP was not designed to be used with a touch screen). Microsoft tried tablets with Vista and Windows 7 as well, all failing miserably. Apple’s came along with it’s iPad and took the world by storm with it’s nice display, long battery life, spot on touch-screen, and low price of $500-$800. They flew off the shelves, effectively creating the tablet market. 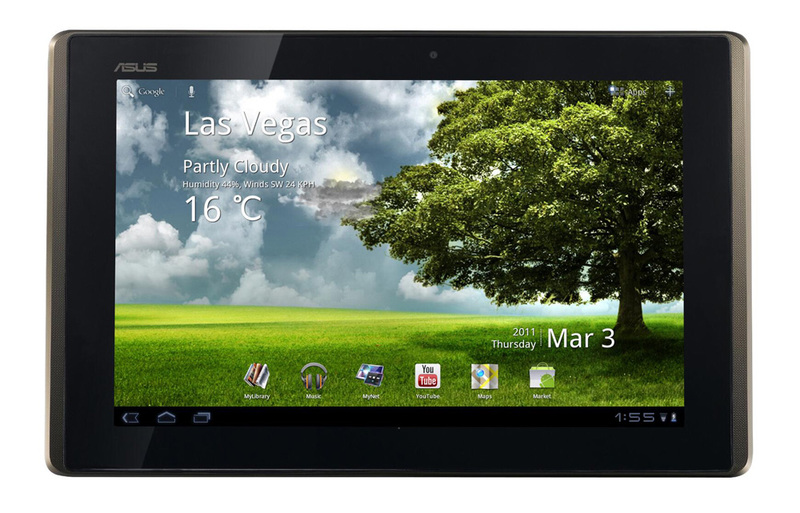 The Asus Transformer is an awesome tablet...if it were $100 less. First, Apple is seen as a premium brand. It’s a status symbol. People that buy Apple products are proud of their purchase and show it off. They willingly pay the “Apple Tax” to own one of their products. Nobody feels like this about other brands, so there’s no point in matching their pricing. Apple laptops and computers always cost at least 30% more than their competing PC counterparts, so why should tablet pricing be any different? So, Amazon and HP started making waves in the market by selling tablets on the cheap, and interest is finally starting to grow. Hopefully this gets the message across to manufacturers: $500 is too much for a tablet. When you start seeing product releases in the $300 or lower range, tablet computing will be ready for takeoff. Asus and Acer have already had products priced that low during back-to-school sales, so permanent price drops may be around the corner. Another interesting aspect of this price cutting may spell doom for Microsoft’s upcoming Windows 8 tablets. Microsoft, in typical Microsoft fashion, is very late to the tablet party. I also think they don’t know why people want tablets, they just do. Therefore, they’re making Windows 8 tablet friendly, and are expecting it to go on a $800 PC-like tablet device. By this time, consumers will be used to the sub-$300 and Microsoft is going to be priced out of the category. I may be getting my vibes wrong, but seeing how MS has handled everything from cloud computing to its smartphone products, this seems perfectly feasible. If you’re in the market for a tablet, I recommend holding off for a few months. I have a feeling we’re going to see some price wars around the end of the year, and we’ll all be reading this on our shiny new sub-$300 tablets soon. Do you think you could do a review like this for e-books? Personally, I think e-readers are a dead-end technology. The Kindle is the best of the breed, because e-readers require readability over function and the e-ink used in the Kindle is top notch. You’ll notice that all of the e-reader manufacturers are now moving to tablets, including Amazon. As a rule, gadgets that only do one thing generally get replaced by gadgets that do multiple things. MP3 players and cameras are being replaced by smart phones, DVD players now stream movies from Netflix and can connect to Facebook, and Amazon is following suit — their Kindle is being replaced with a full fledged tablet. I do think the standard Kindle will hang around for a while because of it’s readability, but the main seller is going to be the tablet. Previous Previous post: Offline Google Mail is Back — Finally!